Encryption is a system that encodes a message or a file. Encryption scrambles data such as an email or file using a program called cipher. A long string of data called a cryptographic key works like a password to protect the file.Once the data is encrypted, it seems meaningless gibberish to others who try to access it. the only way to read it is decrypt or unscramble the data. okay, let’s see some examples! 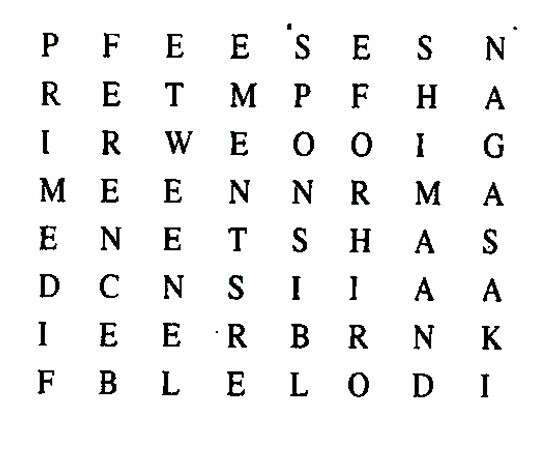 Here I’m gonna show Caesar’s perfect square, an ancient process of encrypt texts. 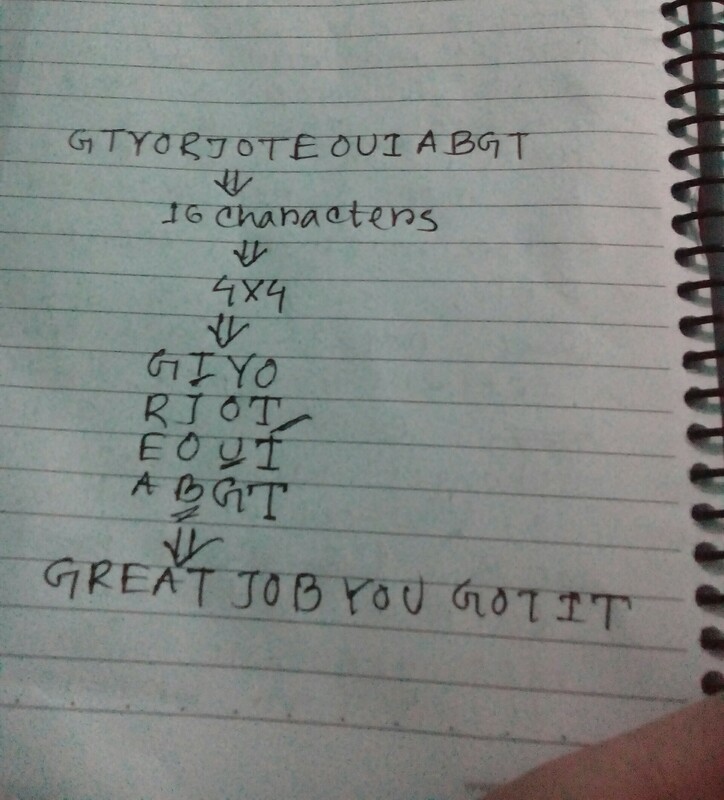 suppose you got a text like”GTYORJOTEOUIABGT”.so, what does it mean? notice that here are 16 characters. ( 16=4*4). pick 4 characters and make a row. in this way, u can make 4 rows. now vertically read them. Now,we’re gonna break a larger one. There’re 64 characters. (64=8*8).here we’ll get 8 rows and 8 column. (perfect square) now read them vertically! The code means “prime difference between elements responsible for hiroshima and nagasaki”. Two isotopes of uranium which were used then,u(238) and u(235). difference between them is 3 which is a prime number. so, we got the answer!This is what cryptography is! Types of Cryptography: There are two basic types of cryptography. Symmetric and Asymmetric. Symmetric cryptography uses the same key to encrypt and decrypt. but Asymmetric cryptography uses two different keys. Modern Cryptography: Samuel Morland invented the mechanical encryption process. he created a design for a cryptographic machine that used geared wheels to create a sophisticated cipher.in this way, messages become much more difficult to access. 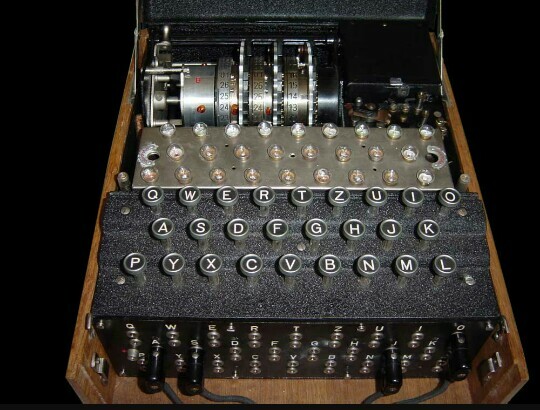 The Enigma Machine: The enigma machine, used by Nazi Germany, is the most famous cryptographic machine but both the allies and axis powers used them to encrypt texts and messages. Encryption is hugely used in IT sector. all social media use it for ensuring security. 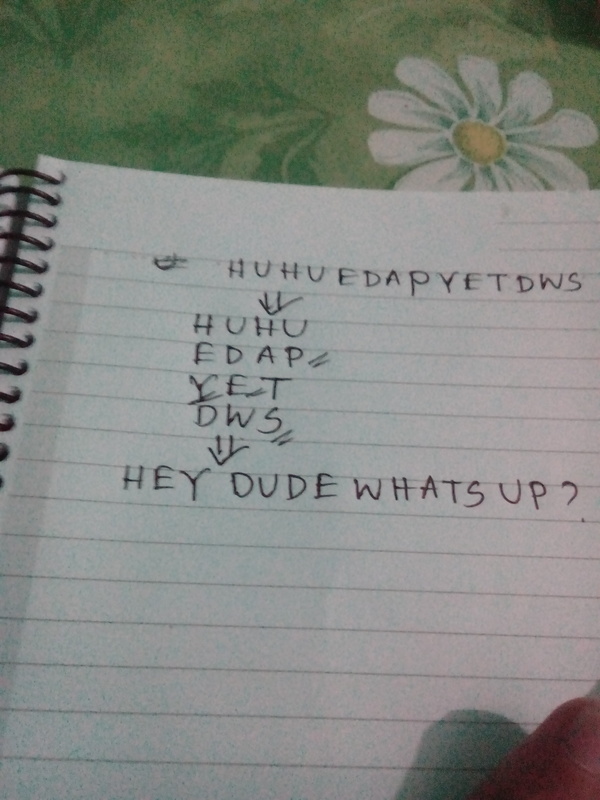 For example: What’s App uses End to End Encryption. It means the text gets encrypted from the sender’s end and it gets decrypted in the receivers end.As a result, no third party even what’s app authority can see your text! Interested in cryptography ? Here’s some sites which really can help you. Khan Academy will provide you everything you need to become a master code breaker. From Ceaser Ciphers to Pseudorandom number generators, they’ll teach you all. They’ll also take quizs and give you points to ensure your proper learning. Link to KA’s cryptography course!!! If you’re interested in Cyber security based cryptography then this site is a MUST VISIT! You’ll get everything everything you need to learn to become a top level ethical hacker! This site’s cryptography course is also its pathway course towards it Ethical Hacking course. Link to Cybrary’s Cryptography course! This website can be really helpful for learning cryptography in terms of programming. This website features some unique programming drills and articles. Those who want to know about developing security based softwares can learn coding here with multiple language choices. Link to Hackerrank’s course link!